Because so many founders are following the same formula, the online and promotional space has become an echochamber in most industries. For example: Becoming an “influencer” is essential to audience building. So, every founder with an interest in influence begins by writing “How-To” posts, “The Top 10 Secrets of ___” posts, etc., and tries to build their list of readers and buyers through free downloads, contests, and trainings. While free stuff and how-to blog posts are still fine ideas, they’re also ideas that have been repeated so many times, they’re losing their appeal with customers. Webinars begin to look like blatant upsell strategies. Every instructional blog post in your industry starts resembling the one that came before it. Giveaways attract subscribers who’ll sign up once, and unsubscribe once it’s over. The fact is, it’s not enough to just be visible anymore. It’s not even enough to teach. To succeed in the modern world of online business, we have to learn how to make ourselves extraordinary, and memorable. Content Strategy 101 teaches us that it’s a matter of finding our niche. “Find out who you’re speaking to, and what they need, and you’ll be golden!”, they say. But in reality, making yourself memorable and trusted requires you to go much further. Being seen in the online space involves finding innovative ways to infuse who you are into what you’re doing, and using your imagination to design unusual ways to create, communicate to, and cultivate trust with your audience . Here are 3 examples of entrepreneurs doing things differently, and experiencing explosive success as a result. Jason Zook is a pioneer unconventional marketer, and his story is a fascinating one. 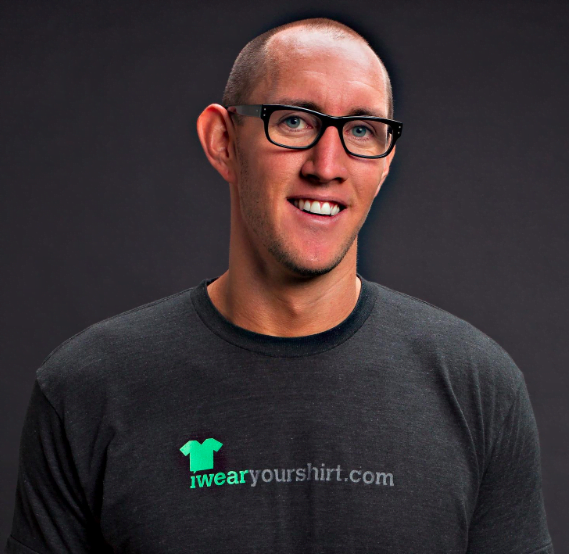 In 2009, Jason founded a company called I Wear Your Shirt. The idea for the business model struck him after he noticed many companies gave away t-shirts for free – so he began to advertise himself as “a human billboard”. The extraordinary thing? He made an eye-popping $1,000,000 in revenue doing it, and soon had a team on the East and West Coasts of the United States. That’s not a typo. Jason ended up wearing shirts from 1,600+ companies, including Nissan and Starbucks, along with small-time startups. But the unusual methods didn’t stop there. He also sold his name twice, legally changing his last name (first to Jason Headsets.com for $45,000, and then to Jason SurfrApp for $50,000). The fascinating thing about Zook is that he’s built his career not just filling gaps in the market, but turning the world of promotion and business itself on its head. Best of all, he continues to find ways to funnel each of his experiences into profitable products that support entrepreneurs and creatives as they create their own unique brand of success. Author, copywriter, and ghostwriter Alexandra Franzen rose to fame as a pen-for-hire for a number of famous online entrepreneurs (including Marie Forleo, Danielle LaPorte, Kriss Carr, and more). She’s worked with over 200 clients, has taught upwards of 1,000 students in her writing workshops, and has been featured on Forbes, Newsweek, Time, The Huffington Post, Fast Company, and more. Her prolific creativity and writing style helped her gain traction quickly with her business, but her “Velocity Sessions” ($1,000/day intensives) were where her unconventional career approach really took off. The Velocity Sessions involved Alexandra putting her copywriting skills to work, by spending a full day with just 1 client at a time. During the session, she could write entire websites/create entire content strategies, and beyond. Alex became known for her hands on approach, her powerful talent, and for crafting really luxurious, generous, caring experiences for clients. But perhaps the most unconventional thing she’s done yet is this: After years of writing on her blog and being a well-known Twitter personality, she decided to take a risk many founders can’t bring themselves to take. About 2 years ago, Alex decided she no longer wanted to participate in social media. And so, she deleted every last one of her profiles. Nowadays, she runs a creative agency, and her promotional strategy is almost exclusively word of mouth, and via her own blog and mailing list. Despite almost zero self-promotion or advertising, her client waiting list is at least a year long, with a project minimum of $3,000 – based on a business built on kindness and generosity. This has all been made possible in part by her business acumen, but also by her devoted following, who she attracted based on the way she approaches her life and work. Paul Jarvis is a designer, writer, podcaster, teacher, and software creator. His books (like Be Awesome at Online Business, Everything I Know, The Good Creative, and Eat Awesome) have been translated into Korean, Russian, Arabic, and more. Paul has made his mark by teaching freelancers how to run better, smarter businesses — without investing thousands in tools to make it happen. 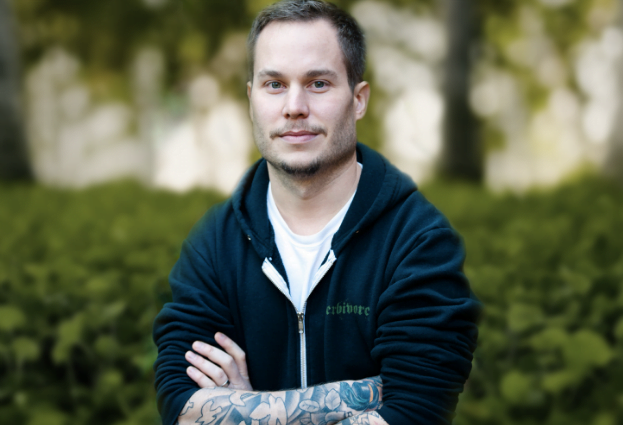 He currently runs a course for newbie freelancers called CreativeClass, and he’s also founder of CourseBooks, a platform for creating branded, embedded workbooks to help students learn faster. In addition, he hosts two podcasts; The Freelancer and Invisible Office Hours. Paul gained significant notoriety first for his minimalist designs, and then as a pioneer of honest, easy-to-access entrepreneurial training and advice. His unconventional nature finds its way into everything he builds and shares. You’ll never see him in a suit, he’s tattooed head-to-toe, and his posts are always casual, direct, and more interested in revealing the truth behind the trends, and dispelling jargon, than cranking out how-to posts or lists. In an industry often oversaturated with fluff, he finds a way to strip everything down to the essentials; in life, in business, and in creativity. He once wrote for Fast Company, Forbes, Business Insider, etc., but stopped when he decided to focus solely on his own work and audience, and his newsletter “The Sunday Dispatches”. His end goal is always to help his readers thinking differently, and for themselves, so they can create beautiful, valuable, and original things for the world. These are three examples of founders who carved out their success by challenging the status quo. But is that road for everyone? Of course, if the majority of entrepreneurs chose to “go against the grain” without much thought, the overload of noise in the online world would only get louder.However, developing a unique and genuine approach to your business is the absolute best way to stand out as both an expert, and an innovator in your industry. So: how does that happen? How can you design a way of positioning your brand, building your community, and getting your products and services into the hands of your perfect market that doesn’t feel contrived, or forced? It all starts with a dissection of where you are in your business right now. Think: What can you change? Are there ways in which the current status quo in your company, or in your industry, is holding you back? What do you need to get rid of, or say no to? And how can you create more of what you want in your company culture, while also creating experiences that keep your customers coming back, again and again? How you stand out in your industry doesn’t have to be through an offering as radical as “selling your last name”, or as small as Alexandra Franzen’s boutique agency. But your own unique way of sharing your business with the world is tied closely to the soul and core of who you are as an entrepreneur. And it will make your product memorable — even in a crowded marketplace.